Smartwatches were supposed to be the must-have tech toy of 2013 — but that didn’t happen, except for the early adopter crowd. It wasn't due to lack of interest or even lofty prices. Smartwatches didn't catch on because nearly every smartwatch that's been released over the last 15 months has been — in the most charitable terms — comprehensively lackluster. Right now, smartwatch design is being led by Pebble Technology, the company that conceived and manufactured the most successful smartwatch to date, the Pebble. With a standard watch band and a square display, the Pebble’s design has been the basis for nearly every subsequent smartwatch. 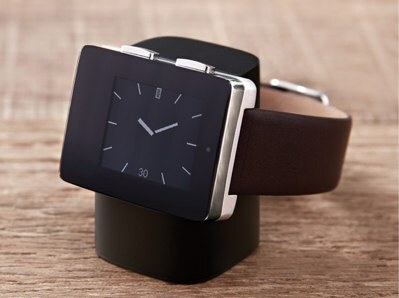 The Samsung Gear and Gear 2, the Qualcomm Toq, the MetaWatch, the Sony SmartWatch 2 and many others follow the Pebble's design model. However, they suffer from small, 1- to 1.5-inch displays, short battery life (among most models), limited apps, laggy software, high prices and no real incentive for anyone to purchase the device. The evidence is found in their low sales numbers. The Pebble, widely believed to be the most commercially successful smartwatch to date, has sold about 300,000 units. The newest iteration of the Pebble, the Pebble Steel, may be the most aesthetically pleasing smartwatch currently available, with its metal case and interchangeable leather and metal bands, but its $249 price tag and limited functionality don’t help its cause. 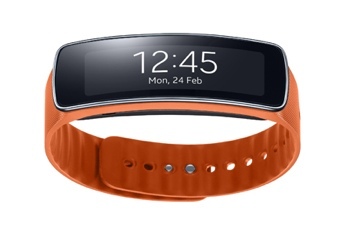 But we're seeing glimpses of a brighter future, thanks in part to Samsung’s latest smartwatch endeavor, the Gear Fit. Its high-resolution, curved touchscreen display breaks free from traditional smartwatch design, even if it appears more inspired by fitness wristbands such as the Nike FuelBand and Fitbit Force. Until now, the two behemoths of the mobile devices industry, Apple and Google, have been watching and waiting. Google has finally made the first move with Android Wear, a version of the world’s most popular mobile operating system for wearable devices. Android Wear will bring voice commands to smartwatches, giving you the ability to simply say “OK Google” to ask questions, send a text or check what time your flight leaves. Android Wear will also monitor your health, track your fitness and provide a platform for many other apps to come. Android Wear aims to provide a steady stream of relevant information you can see at a glance, something that has been sorely lacking in previous smartwatch offerings. Google has said Android Wear will allow wearable devices to control other phones and tablets, allowing you to start playing a music playlist on your phone or send a video to a TV connected to a Chromecast. Along with the announcement of Android Wear comes word that many manufacturers (including Samsung, LG, HTC, Asus, Motorola and standard watchmaker Fossil) will be building wearable devices powered by Android Wear. LG and Motorola have respectively announced the G Watch and Moto 360, two of the first smartwatches to utilize Android Wear. The LG G Watch is a classic smartwatch with a square casing, but with the Moto 360 (shown below), we finally get a third design alternative to the popular square-case-and-wristband models. The Moto 360 is a round smartwatch that resembles a classic men's wristwatch. We think this is where the future of smartwatch design is headed. It is elegant, simple and doesn’t evoke the dread that anyone who wears a standard watch feels when looking at the current crop of smartwatches. While specifications for the Moto 360 haven’t been released, the new smartwatch is expected to be available in this summer. With Android Wear officially launched, the big missing factor in the smartwatch market is Apple. Despite an unending stream of rumors about the purported iWatch, nobody has been able to nail down what exactly Apple has up its sleeve. Gurman (who has been the preeminent reporter on the iWatch, uncovering recent iWatch-related hirings and detailing what may be the cornerstone of Apple’s upcoming smartwatch) has published a detailed report on a new app codenamed Healthbook. Healthbook will be the hub for all health- and fitness-related information that may ultimately be drawn from the iWatch, Gurman reports. In leaked screenshots, Healthbook is shown containing menus for monitoring blood sugar, heart rate, blood pressure, hydration, respiratory rate, oxygen saturation and weight. There are also menus that show off the ability to log physical activity, sleep, nutrition and steps taken, along with an emergency card feature that allows health information such as blood type, medications being taken and organ donor status to be stored on a card on your iPhone that would be readily accessible by emergency personnel. Even after a wobbly start, the smartwatch industry seems to have found its legs. We now have three distinct design flavors: the all-too-popular square casing, the wristband style, and the classic rounded option. Android Wear's operating system has emerged as the apparent platform on which many smartwatches and wearables will be built. And Apple’s inroads in health and fitness tracking seem promising, and while we haven’t gotten a clear picture of a design direction for a potential iWatch, Apple’s design history gives reason for optimism. Are smartwatches ready for prime time? Not quite — but the smartwatch sun is just beginning to rise.